Greg's never been on a road bike before. 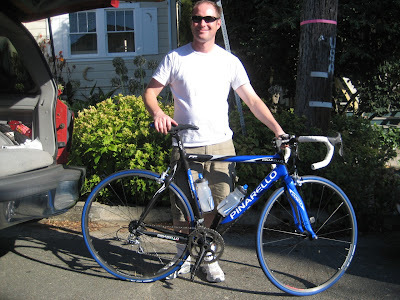 After a year and a half of weighing options, saving up, and dreaming of his first ride, Greg finally made it happen this weekend with a brand new Pinarello Paris carbon. After learning how to shift gears, clip into the pedals, and change a flat, Greg wheeled his new Paris out the door and didn't look back. Congratulations, Greg, and have a good ride!